Home Growth These 50 Fantastic Ways Will Cut Your Business Expenses! Whether you run a big company or a small business, expenses are something a business owner is always looking to cut down. Cutting expenses down isn't easy, it requires creativity and trying out new things that you may have never considered. Printing isn't a cheap operation. Printing requires a lot of resources and equipment; ink cartridges are not cheap so if you are printing every day you might have to replace your ink cartridges several times a month which will end up costing you a fortune! Not to mention the maintenance price on those things! How many times have you had your printer breakdown or stop working with no reason? Paper isn't free either, storage spaces to store all that paper will also cost you money. The whole operation is just costly for no reason. We live in a digital era, use hard disks to store your data instead of paper. Computers will also give you the chance of backing up your data instead of having it on a paper that might just get lost somewhere. Book keeping is an important part of the day to day operations of your business. But it can also be tiring and put pressure on you or your staff. Bookkeeping mistakes are also a huge problem that may get you in legal trouble or cost you fortunes. You can avoid all of this by outsourcing your bookkeeping processes to a company abroad (i.e. India). It is easier and will cost you way less money. Alot of companies abroad have bright minds that are willing to work for less wages than the ones you will be paying locally. It will save you a fortune and allow you to focus on the core processes of your business. Click here to read more about outsourcing bookkeeping. You would be surprised how many suppliers are ready to give you discounts for paying your invoices early. These suppliers struggle to get cash at some times because of late payments by their customers. So, they are willing to go ahead and give discounts if you offer to pay earlier than usual. Not to mention the great relationship you will be building with the supplier which might get you better deals in the future. Of course, paying early isn't easy, you need cash on hand for that! Which brings me to my next point. Many businessmen spend all the business money on getting bigger inventory for slightly better deals, it does seem like a good idea but it isn't. Study your market and find out how much inventory you may need and don’t buy extra! You shouldn’t be spending your capital on idle inventory, It's not practical. There are a lot of software that will help you manage your inventory and find the right numbers. Instead of spending thousands on TV ads or billboards, you can use search engines to generate traffic to your websites or spread the word about your company. Facebook, twitter and blogs can find you plenty of customers. These methods are way cheaper than print media. Study your market and find out what will be a better method for your targeted demographic, Social media or traditional media. In today's economy, there are a lot of graduates looking for jobs or internships. They will do anything to work in a company for some experience. It’s a win –win situation for everyone involved. A lot of them are bright minds with talent and will work hard to grow your company and for them to gain experience. You might have to give them some training but it will definitely still save you a lot of money in the long term. Plenty of meetings now can be done on Skype or other online applications that provide quality video service. Taking unnecessary trips will do nothing but waste your company's time and cost a fortune for traveling expenses. Hotels and plane trips aren't cheap. You can save thousands and just conduct meeting from the comfort of your company and save all that money that may have a better place in the company. Try to allow your staff to work from home maybe once a week. This will have a lot of benefits on the company. You will be able to save a lot of money due to saved electricity. Also in the future, you may move to a smaller office, saving a lot of rent money. This might also increase the productivity of your employees and make them feel more comfortable resulting in better work. Instead of buying new laptops, computers, faxes, or any electronics in general, you can buy slightly used ones for way lower price to cut costs and expenses. You will notice no difference in performance. If you do need help in executing any of these tips , feel free to contact Outsourcing Insight and our professional team will custom tailor a plan for you to reach maximum efficiency. We all know that you have to spend money to gain money. It is a pretty simple concept. But what if most of the money we spend can be saved? Every company has the potential to reduce their expenses through saving money on tiny details no one bothers with. Not only some methods may reduce your expenses, but also drive up productivity of your employees. Some companies spend thousands of dollars buying outdated licensed applications online because they might not trust specific free services. For example, you might spend thousands buying office applications and data base entry software when you can simple use google docs. It is just as good and is free to use online. there are tons of free software out there that could help your company and save you a lot of money. Even if you don’t want free software, try negotiating deals with the software owners to buy them for a lower price for your company. Tired of seeing a large electricity bill every month? Well cutting down electricity costs is simple. All you need is applying some office policies and being strict about them. Unplug unused electronics, close lights where rooms are unused. Office supplies are necessary for every business. But suppliers often over price them. Try striking deals with your suppliers to buy it in bulk, there is no need to place some order every 2 weeks and buy so frequently when you can get them at a cheaper price for the bulk. Additionally, you can recycle old paper equipment. for instance, if you write on a paper's side, why not use the other side too? or maybe any unneeded used paper can be sold to recycling companies. It may not bring in a lot of money but it will definitely reduce expenses that will add up at the end of the month. Now you may be thinking that those have high initial cost. True but you have to think with a broader mind. If you buy an air conditioner that may cost more than the normal air conditioner because it saves energy, in 5 years you would have saved more money on electricity making the purchase in the first place worth it. Energy saving light bulbs, they work just as good but will save money on electricity. Take a second and think about how many times your business might have used the landline in the past year? Exactly. Land line is an outdated method of communications. There are plenty of FREE business VoIP services that you may use for business purposes. These services provide good quality and will be convenient to use saving you the money you pay for unused services. Most of your employees will not be using the landline if they have another choice. Tired of spending too much money on departments that don’t relate in any way to your core operations? Well outsource them today then. There are companies abroad that specialize in doing the work for you for a lower cost. These companies reside in a country where cost of living is way lower. Why hire a whole HR department when you can simply just send all the work abroad and never think about it. Don’t worry, outsourcing companies are professional, smart and quick. They will get all the work you need done in the time you want. You will be surprised with the prices of outsourcing, it's absolutely efficient and money/time saving. Tired of printing and wasting money on ink and paper and maintenance? Well don’t want to spend money on saving your data on hard disks? Simple use cloud storage services online. There are a lot of free services that you could use. Don’t worry those services are secure, safe and will never use your data. They take their users privacy very carefully and will never give or allow access of your data to anyone else. Don’t take the first deal you see, you might be able to get way better deals from other companies. there are a ton of deals for businesses out there, you just have to ask about it. Printed media isn't the best advertisement method you could use today. It may be beneficial to create some sort of word of mouth marketing by promotions such as referral discounts or promocodes or coupons. Instead of wasting your time hiring unmotivated customer service agents that may end up dissatisfying your customer, you could just outsource the department to companies that specialize in customer service operations. These companies have the skill and the expertise you will be looking for. 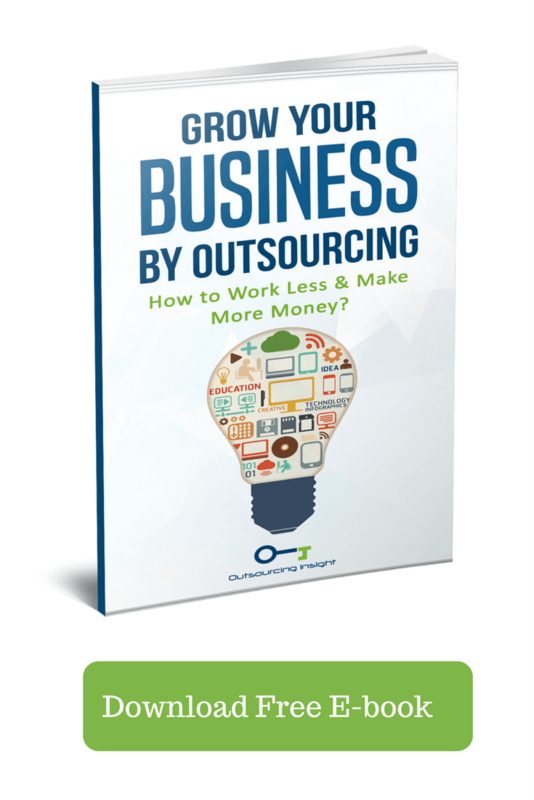 Save yourself the fuss of the hiring process and outsource NOW. These methods can be very beneficial if applied right. You just need to be patient and consult the right people. If you need any help applying any of the methods stated above please feel free to contact Outsourcing Insight and we will provide our top notch service based on your needs. The general rule of business is to control expenses and costs, generate more revenue and maximize your profits. Sounds simple, right? Well it may sound simple but it definitely isn't easy to implement. Especially in the tough economic times we are living in today. Growing your company may increase your profits, but it will also increase your expenses and will require you to buy more office space and hire more workers. this will all increase your expenses and cost you a fortune every month. But what if there are ways to reduce those expenses and minimize them as much as possible? Have you noticed that maybe you pay more than you are supposed to when shipping products to customers? Take a look at your small package or trucking competitive landscape for cost savings. Make sure the truck loaders are being fully efficient and organizing the business and packages for maximum efficiency. You might be, unfortunately, dealing with some legal issues or involved in some sort of basic patent work, litigation or IPO introduction. In those cases, you will need a legal specialist, a lawyer that is most likely based in a top law firm with a very high hourly rate. However, don’t fall into the misconception that you have to pay those hourly rates for corporate counsel work. Legal fees are very negotiable. Many firms will adjust the fees for basic corporate work or accept a fixed monthly payment for basic legal services. A four-day work week will not only save you a lot of supplies and utilities. It will also boost your employees' productivity and moral. You may think that this will reduce the company's productivity, but it will actually reduce costs and bills while providing a healthy atmosphere and positive vibes between you and your employees that may end up boosting the company's overall productivity. How many times have you heard about an employee that finished his day's work but is sitting around doing nothing for the rest of the day because they have no choice? This all costs money. If they work 4 days a week they can get as much work done while cutting down costs. Regular maintenance and cleaning services around the office can lead up to an expensive bill. So, don’t use those services unless it's really necessary to. For instance, instead of having the cleaning crew come once a week, consider making it twice a month. You will find out that most of the work they do can be done in half the time. This may save you a significant amount of money. Handling IT operations in-house can be extremely expensive. The average business doesn’t have the ability or knowledge to manage its IT operations itself. unless of course you are an it company, it isn't considered to be a core operation in your business. It will cost you a fortune to hire professionals that will maintain your IT operations. It also may be hard to find the right people for the job. So why bother with all that? Instead of paying all that money operating a department you don’t need. Outsource all that work to companies abroad that will work for a fraction of the money you will be paying locally. These companies cost way less because of the lower cost of living of the country they reside in (i.e. India). Instead of renting the same equipment every month and paying an infinite stream of money to the owners. Purchase the equipment yourself. This may have a high initial cost but it will definitely be better in the long term as it will stop the infinite stream of money being paid every month. This will also give you tax benefits associated with depreciation of items owned. Complex expenses are payments for multi-tiered level of service. For example, your phone bill company. When you pay the bill you are paying for a bunch of services from the same provider such as airtime minutes per month or network calling or text messaging, data you may not be using etc. Take a good look at what exactly you are paying for and what exactly you actually may need. Call your phone provider to cancel all the services you don’t use and ask for any existing offers or discounts for businesses. Plenty of companies in our economy rely completely on lead generation and lead to sale conversion. They end up paying fortunes to set up their own centers or pay for new lead generation methods that don't work. Stop using recycled methods and leads and outsource all of that to companies abroad. Working with a foreign country will give you chances and access to new talents and minds that will have better ideas and methods to generate more leads for your company. If you are hosting any business events try to get sponsors to pay for it in return for advertisement or discounts to your service. You will save a fortune while developing good relationships with different companies. If your supplier or vendor can use the product or the service you provide, you both may be able to work with each other on a deal that will end up saving both of you money. resulting in a win-win situation. These methods require skills and time to study, if you need help implementing any of these methods please contact Outsourcing Insight and we will do our best to help cut down your expenses. You might think that all the expenses you pay for your company are necessary! Except, they aren't. Every business owner can cut down their expenses to some extent. If you pay enough attention to the small details you will find that most of your company's expenses could be reduced by doing one simple small change. But how? There are a lot of things that your staff may be doing that might be routine work or require no experience at all such as: posting updates to social media, redirecting calls etc. These operations are reducing your work force's productivity and putting unnecessary work load on them. These operations can be simply automated through a one-time payment. You might be spending thousands every year renting a big office that may not be fully occupied. A good idea to utilize the working space is by sharing the work space with another company and sharing the rent. This will give you the ability to rent in a good place in the city while sharing the cost. If you are a small business you may just sign up for a co-working facility rather than renting an office for your business. Keeping track of your tax write offs is necessary as it will prevent you from paying extra payments every at tax time every year. In order to know if you are doing better or worse every year, you need to keep track and look at your expenses regularly. This will help in the expense cutting down operation. It will also show you what is the biggest expense you have so you can work on reducing expenses in that department. it will give you a realistic image of where you can make cuts and save money. Most administrative tasks can be done using virtual assistants. Outsourcing administrative tasks to foreign companies will save you a lot of money and effort. Why would you go through the interviewing process and look for employees for high turnover jobs every month and waste your time? You can easily look for a company abroad and they will take all the work load from your shoulders. These companies provide high quality work that will suite your needs. They have really talented employees with fresh ideas and creativity. This will also give you a chance to work on the core processes and operations of your company, keeping up with your competition. Look up trade associations related to your industry or field in your local area. You will find plenty of opportunities that may save you money. Research well first and find out what resources they may have that will benefit you. You might have to pay an entrance fee but it will be useful in the long term and will save you more money that what you will pay. During running your business, you will be facing some expenses that aren't necessary to the course of your business such as hosting a pizza party for your workforce every once in a while. As wholesome and motivating this might sound and be to the employees. Cutting those over the top expenses can help you save. Every once in a while, your company might have a specific task that isn't necessarily vital in the business operation. Hiring a full-time employee for it will be wasting a lot of resources and you will be required to give them all their benefits as full time employees. But that isn't necessary, you can hire part time workers for that specific job, and their job ends once you don't need this process anymore. It will help you save a lot of expenses while minimizing your workforce and keeping only the necessary employees that contribute daily to your company. Every business needs its application on different platforms these days. But hiring software engineers is expensive and a very exhausting process. Not to mention how hard it is to find an engineer that is qualified and understands exactly what you need and gets the image you want. well there are companies abroad that will gladly take your work and do it for you for a way lower cost. They will listen to your needs and provide exactly the work and quality you need. Having unnecessary meetings every week contributes nothing. Maybe you can have a board where employees can hang post-it notes on whenever they get a new idea that might contribute to the business. If its worthy you might have a meeting to discuss it. But having unnecessary meetings every week or so is just time consuming and may bore and reduce the productivity of your employees. We know you want to cut down your expenses and maximize profits. All these methods will help you do that, but we might be of huge aid to you. These methods need professionals and experienced planners to be applied to every business. We at Outsourcing Insight will tailor the work you need to fit your business needs exactly. When you run a business, every penny counts. You don’t want to be spending 1 penny more than you are supposed to. But unfortunately, many business owners don’t pay enough attention and end up spending more money on expenses than they should. This may result in not having enough cash or funds to expand or develop your business more leading to stagnating your business or even losing money over the course of running the company. Don’t worry there are a lot of things you could do that may reduce your spending. 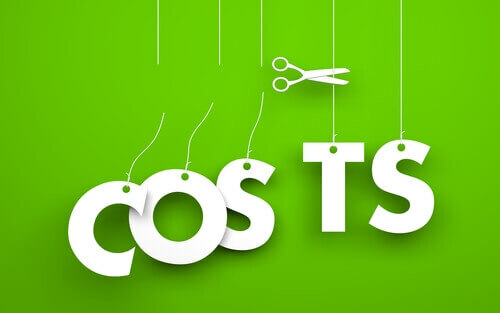 As a business owner you should always be looking at ways to reduce your production costs and optimize your resources. Selling left over material may save a lot of money instead of sending it to the recycling centers. Additionally, take a look at your company's waste and try to make a product out of it. This will increase the company's efficiency and improve company's productivity and profits. Make sure you are maximizing your real estate's potential. Centralize the space you need for production and lease the unused left space to a business or an individual for private use. Set performance goals every month and look for different ways to how to improve the use of resources and get the best for the least amount of resources. This method will provide improvements and cutting costs every month. Build a customer email list and update it every month, implement a referral program. A recommendation from a customer is more likely to result in a sale than traditional marketing methods. Reduce advertising and increase networking. Customers like to buy something from a face they recognize, it makes your product more guaranteed. Get rid of your old marketing methods that you spend thousands on and start using modern methods such as internet. You may also consider to outsource your marketing. Optimize the productivity of your employees effectively. Wasted time is wasted money. Make sure your employees are not wasting their time during work hours. You can do that by blocking out distractions such as social media and other time-wasting methods. provide a work encouraging atmosphere that is quite and friendly but at the same time competitive. Maybe have an employee of the month competition that gives the winner more advantage than everyone for a period of time. This will make your employees motivated and ready to prove that they are the best. Therefore, increasing your profits and cutting down costs. In-house payroll might not be that problematic when you are still a small business with 10 employees, but once your business expands and starts growing you will start hiring more and more employees. So why got through the time consuming and exhausting operation of payroll processing. You can hire companies abroad that will take care of that for you for a way less cost than you expect. Outsourcing payroll is one of the best thing a company can do to reduce costs and cut time wasting. Outsourcing non-core operations like this will narrow down your focus to important tasks that grow the business and increases profits. Never ever sacrifice quality to save money. Quality always sells in the form of service or products. Always try to improve quality, which may cost money but will increase sales through referrals and satisfied customers that are happy to do business with you again. Also, the higher the quality, and the more you prove that the quality of what you have is better than every competitor. You will always be able to charge higher fees and dominate the market. This method may cost some money in the begging but you will notice the difference when your business starts getting a glorious reputation. Chances are your business spends a fortune on health care coverage for your employees. Always try to look for new plans or cut down as much as you can to lower plans without hurting your employee's coverage too much. The health care insurance market is very competitive and if you look hard enough you will find the best cost-efficient coverage for your employees replacing the old traditional health coverage. Hiring an employee is very costly. So, make sure that who you hire is the right person for the job. Firing and hiring another employee costs 20% of their annual salary. If you have high turnover employee rates then you are probably doing something wrong. Debt is the enemy of any business. Some suppliers will overwhelm you with interest so always try to make interest free deals or very low interest deals that requires you to pay upfront. Remember every dollar of interest that you pay is a dollar that won't accrue to your bottom line. I know, I know you might be thinking I am out of my mind mentioning credit cards and cutting costs in the same sentence but, there is a difference between responsible use and irresponsible use. Tunneling all your business expenses and payments through one or two credit cards will farm you a lot of pints that you may use for hotels and air fare for your business travel needs. Now every business has a weakness, it's sad but true. Through observing the books and the productivity of your employees you might be able to easily find which department is lacking in work or might be slower than other departments. Well today you can easily outsource the work that this department does for lower cost and save yourself from going through troubleshooting problems to why this department might be doing bad. I wish more businesses would embrace #40 here – and I’m sure the employees of those businesses do, too. Meetings are a huge waste of time like 99% of time, but we keep insisting on having them all the freaking time. WHY? Stop it!